New Delhi: The Supreme Court Friday upheld the Insolvency and Bankruptcy Code ‘in its entirety’. This provides relief to the government and to many banks that are looking for a quick resolution of cases pending before various judicial bodies. It has also relaxed provisions of who constitutes a ‘related party’ which will enable greater participation in the biding process for the insolvent companies. The top court has upheld the constitutional validity of the law and thus paved the way for speedy settlement of cases. Disgruntled parties can no longer delay the proceedings in a tribunal, claiming the law violates their fundamental rights. Also, in several instances, promoters of insolvent companies have challenged their exclusion from the bidding process, and approached the courts seeking a stay on the insolvency proceedings. Sanjay Singal of Bhushan Power and Steel is one such example. There have also been instances when rival bidders have approached the Supreme Court and challenged the decision of the tribunal to award the company to the other bidder — for instance, Dalmia Bharat’s challenge of the NCLAT’s decision to award Binani Cements to Ultratech Ltd. However, since SC hasn’t commented on individual cases, there is still scope for litigation based on the merits of each case. Which sections of the law were challenged? Several were challenged. Here are the most important ones. This section bars defaulting promoters from participating in the insolvency process and trying to reclaim control of the company. The clause was introduced to the existing Act, last year, after some promoters tried to gain a backdoor entry. It was brought in with retrospective effect to ensure its applicability to existing cases being fought in the NCLT as well. Implication: Defaulting promoters cannot reclaim control of the company. 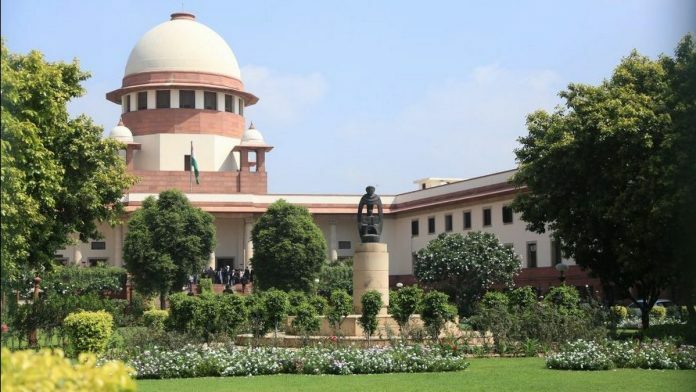 The court has ruled that the persons mentioned under ‘relative’ need to have a connection with the business activity of the resolution applicant to be disqualified. Implication: It provides relief to businessmen who may have been estranged from the defaulting promoter and have no business connections with him but are, nevertheless, ineligible to be part of the bidding process. A financial creditor is an institution that has lent money to the company at a particular rate of interest. An operational creditor is someone the company owes for payment against goods and services. While both types of creditors can initiate the insolvency proceedings, only financial creditors are part of the Committee of Creditors that decides on the fate of the company. The operational creditors sought a say in the resolution process, arguing that some of these provisions were arbitrary and violated Article 14 of the Constitution which guarantees equality of law. The Supreme Court has held that these provisions are neither discriminatory nor arbitrary and do not violate the Constitution of India. Implication: The status quo will prevail allowing financial creditors the right to agree to the resolution proposals and finalising the bidders who will take control of the company. It was introduced to allow for flexibility to creditors to reach a settlement outside of IBC while ensuring that any negotiated settlement between the debtor and the creditor has the nod of most of the lenders. Implication: This paves the way for more settlements outside the insolvency process.